This year's Consumer Electronics Show felt a little more muted than past shows, with fewer new and exciting products coming out. Much of that may be due to the fact that there was a lot of focus on Alexa and Google Assistant, two platforms that aren't applicable to a lot of Apple users. Though CES 2018 may not have been quite as interesting as past events, there were still quite a few Apple-related products shown off that we're looking forward to seeing in 2018. Below, we've rounded up some of the most interesting accessories and devices relevant to those who own iPhones, iPads, Macs, and other Apple devices. 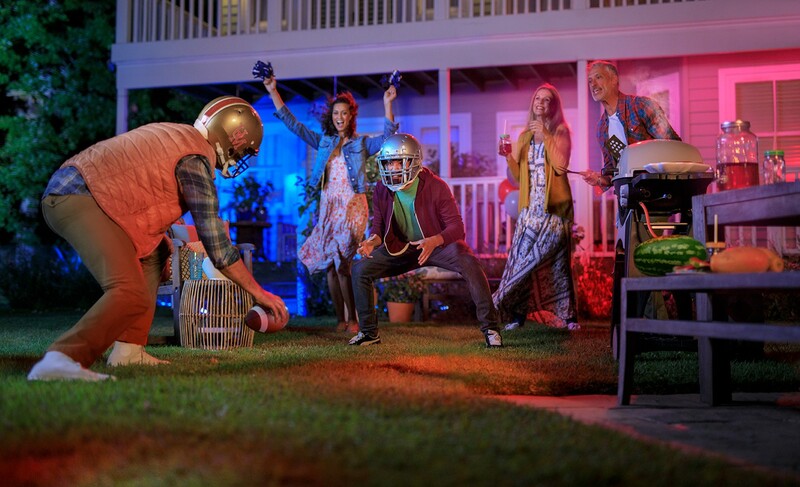 Philips is planning to expand its line of popular HomeKit-compatible Hue light bulbs with new outdoor bulbs that can be used on porches, yards, balconies, and other outdoor areas. Pricing hasn't yet been announced, but these will be a welcome addition to the Hue lineup. 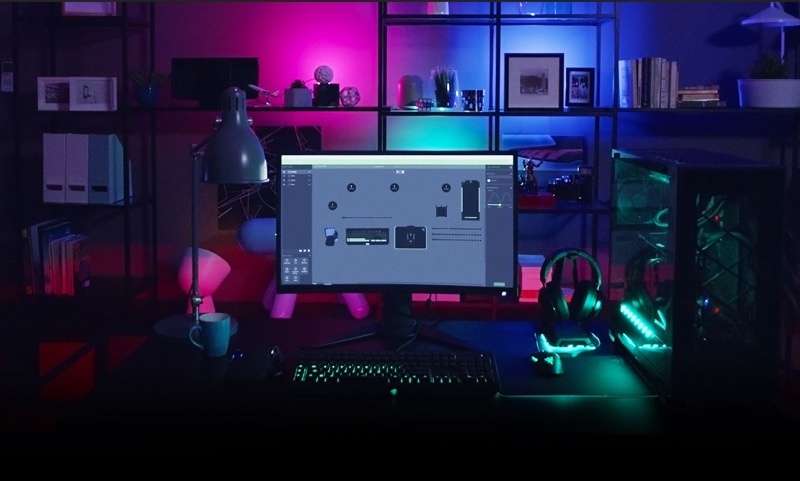 Philips is also introducing a new "Hue Entertainment" feature that will allow Hue lights to react to games, movies, music, and more through a series of partnerships with other companies. One of the first partnerships is with Razer. Later this year, Philips will update its iOS app with a revamped design and it will introduce a new "Hue Sync" Mac app for creating and customizing light scripts for games, movies, and music. 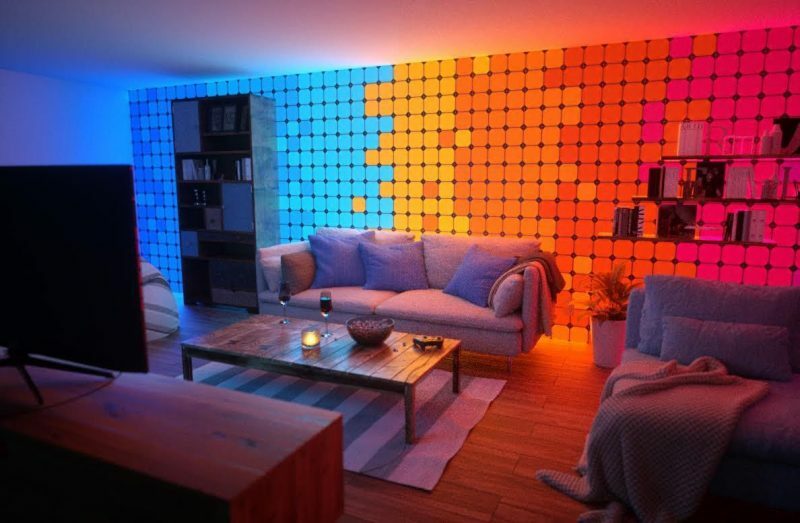 Nanoleaf, another company that does HomeKit-enabled lighting, announced a new $49 Nanoleaf Remote for controlling its Nanoleaf Light Panels and other HomeKit-compatible products. Some MacRumors readers aren't a fan of the design, but it is undeniably unique with its dodecahedron shape, and it also offers more preset options than other remotes. You can activate 12 HomeKit scenes with the Nanoleaf Remote by flipping it around, and it can also be used for dimming. 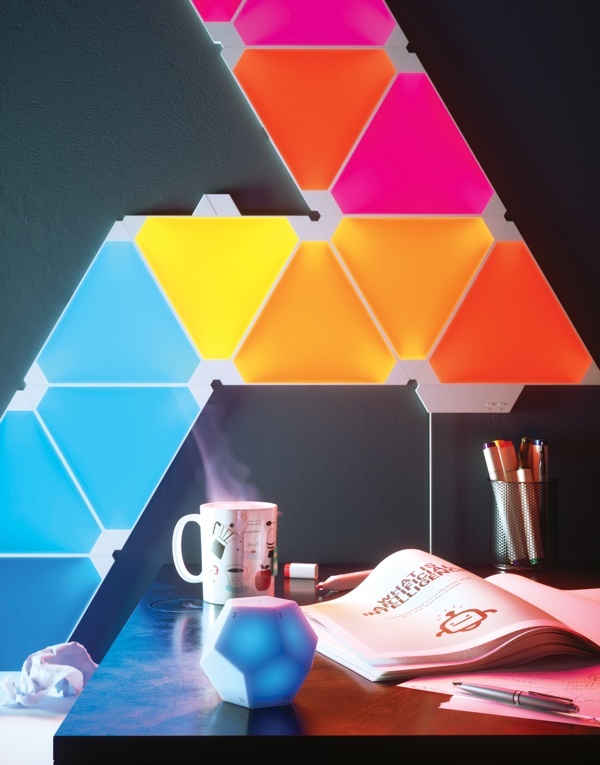 Nanoleaf is also going to be introducing new square light panels in the future, though a pricing and release date aren't available. The square panels are a major update to the existing triangle panels. They're touch sensitive so you can turn them on and off or activate another color preset with just a tap or a swipe, and there will also be built-in motion sensing to tweak the lights when you walk by. Kohler and Moen took HomeKit to an interesting new place at CES with the announcement of HomeKit-enabled faucets and shower systems. Kohler's Sensate faucet will let you use Siri voice commands to turn the water on or off or dispense set amounts of liquid, while the DTV+ shower system will let homeowners create and automate personalized shower experiences with different presets for sound, water, steam, and lighting, which can be activated by voice. Moen's "U by Moen" shower system will let you use voice commands to start your shower and activated pre-set temperature choices. 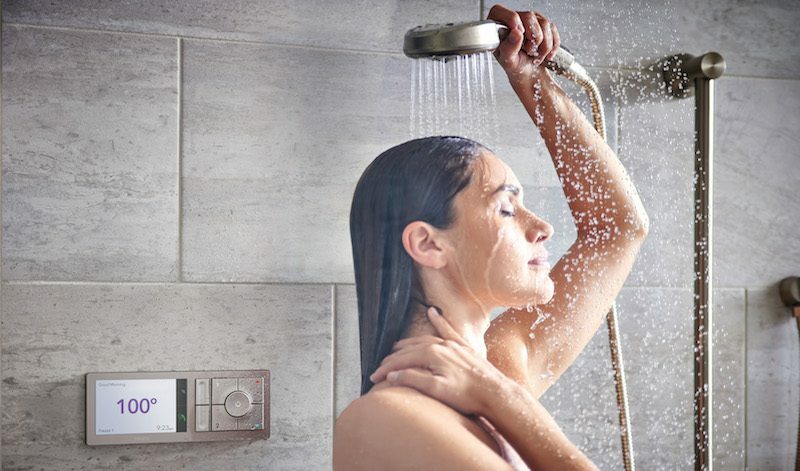 Voice-enabled shower systems aren't cheap, with Moen charging $1,160 for the "U." Pricing for the Kohler system hasn't been announced, but the current non-HomeKit-enabled Sensate faucet is priced at $523 while the DTV+ shower system is priced at $794. At CES, Belkin finally debuted HomeKit integration for its Wemo devices, allowing smart plugs, light switches, and dimmers to be used with HomeKit. 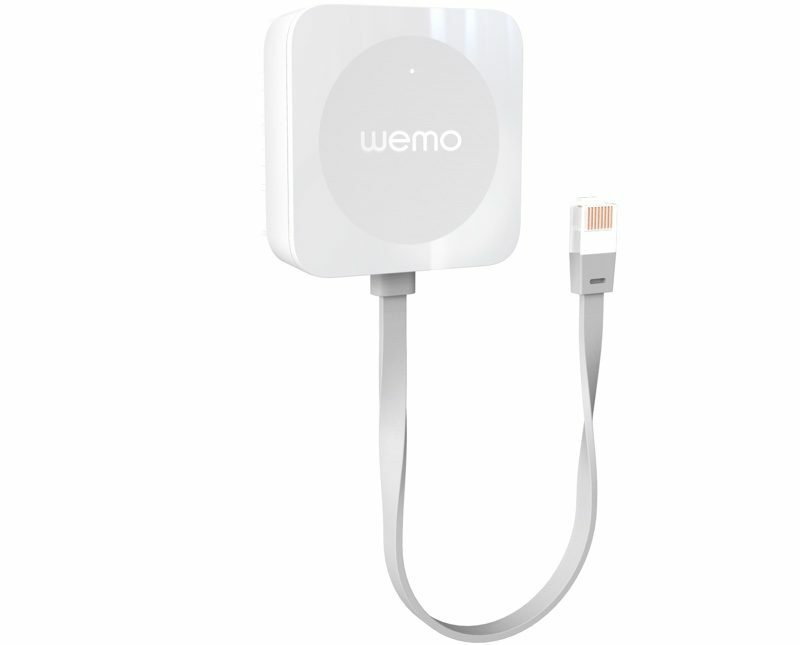 HomeKit integration is limited right now, but the good news is that future Belkin Wemo products will likely support it. Adding HomeKit to your Wemo setup will require the new Wemo Bridge, priced at $40. 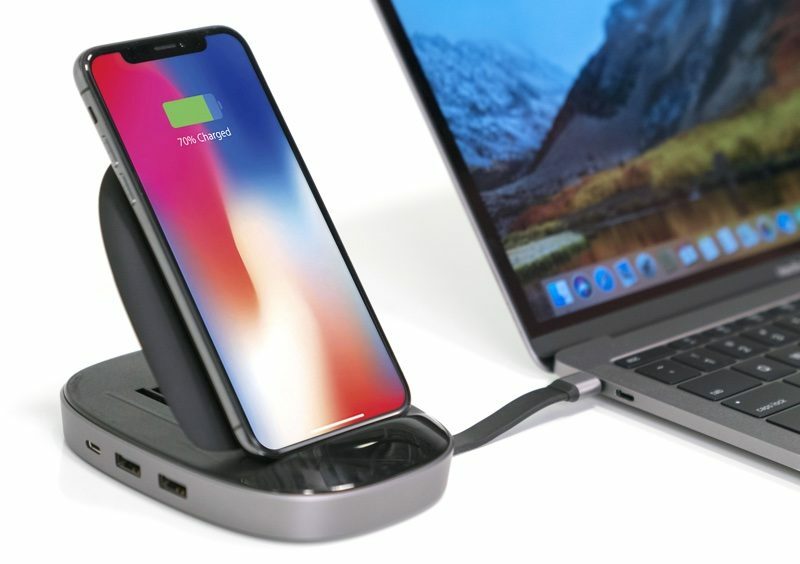 Belkin's other major announcement was a whole slew of new wireless chargers for the iPhone X, iPhone 8, and iPhone 8 Plus. There are chargers in bright colors, upright chargers, and chargers that go in the car. 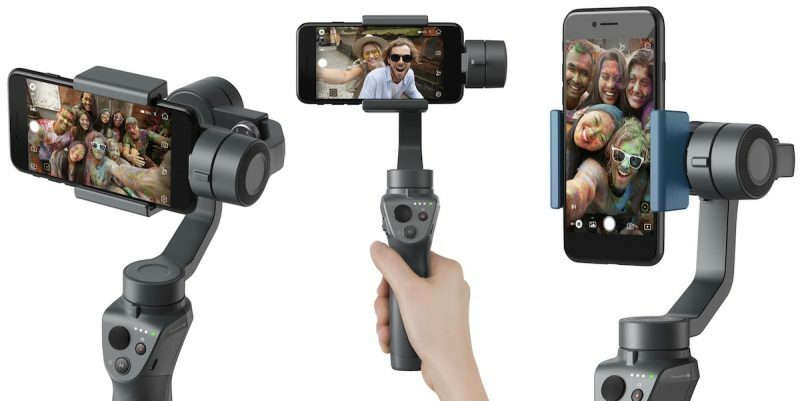 If you capture video on your iPhone, the Osmo Mobile 2 from DJI is worth checking out. It's way cheaper than the original version at around $160, has simpler controls, and longer battery life. It works by using a three-axis gimbal to cancel out movement in three directions for stable footage even when you have shaky hands. Hyper's new 8-in-1 USB-C Hub may be a Kickstarter project, but Hyper has a proven track record for delivering solid products. The HyperDrive USB-C Hub is designed for USB-C MacBook models with a 4K HDMI port, a Gigabit Ethernet port, a microSD slot, an SD card slot, three USB-A 3.1 ports and one USB-C power delivery port. 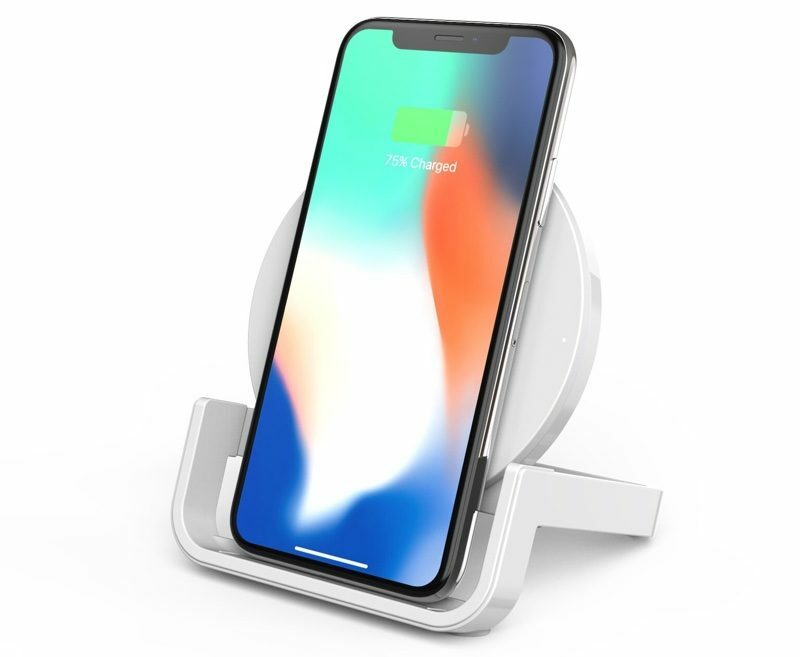 It also includes a built-in 7.5W wireless charger and convertible stand for wirelessly charging the iPhone X, iPhone 8, and iPhone 8 Plus. Hyper's Kickstarter campaign for the USB-C Hub will start on January 15. Incase's new IconConnected Power Sleeve combines protection with power for Apple's 2016 and 2017 MacBook Pro models. It takes a standard Incase Icon sleeve and then adds a 14,000 mAh battery with a USB-C port that can be used for charging purposes. There's also a USB-A port built into the Power Sleeve so you can charge your other devices, too. Incase plans to offer 13 and 15-inch versions of the Power Sleeve, which will be available for $199.95 when it launches in the third quarter of 2018. We highlighted tons of other Apple-related products at the Consumer Electronics Show this year, so make sure to check out our CES hub to see all of our CES 2018 coverage. What was your favorite product at the show? Let us know in the comments. Smart faucets. We've hit a new low. A collection of the most non-essential and useless tech garbage I've seen lately. It takes a standard Incase Icon sleeve and then adds a $14,000 mAh battery with a USB-C port that can be used for charging purposes. Seems like HomeKit has been a real let down. From between being overpriced and thoroughly underwhelming to downright ridiculous such as a kitchen faucet. 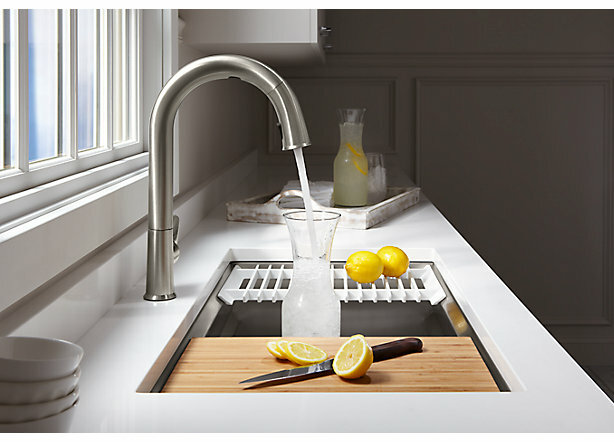 A real smart kitchen faucet would already know that I want water from it and turn on without telling it. It would realize I soaped my hands and provide hot water. It would fill my water glass with cold water and stop when it filled the glass and if I only want 2/3 cup that’s the only time I should have to speak to it. I agree, why would you bother programming a faucet to pour 12ounces of water? The shower thing cracked me up as well. If we are the tech elite (Consumers) and we laugh at this who exactly is their market suppose to be? I just wish that Hue would come up with a controllable outlet plug. I have Hue lights working great, but there are just a few things that would be nice to control with my Hue bridge and the app, like christmas lights and a tabletop lamp. I do not want to bother with HomeKit, because I need to buy a stupid AppleTV to be the hub? wtf... Why can't a Mac be the hub as well, I have a 24/7 running Mac mini. Hadn't considered that (we're using other makers for outlets) but that's a great idea! Heck... how about Hue Christmas Lights that can change color and run patterns! Probably ridiculously expensive but could be fun.